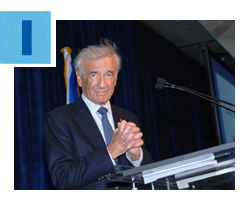 On behalf of the Officers, Board of Directors and Staff of the Greater Miami Jewish Federation, we express our deep sadness on the passing of Elie Wiesel, z”l, revered Holocaust survivor, author, teacher and Nobel laureate. Speaking and writing with the fervor of a passionate preacher, the wisdom of a sage, the certainty of an eyewitness and the words of a poet, Mr. Wiesel traversed the world, sharing his message about the importance of confronting evil. After surviving the depths of hell during the Shoah, he reminded all of us that the greatest enemy of humanity is indifference. 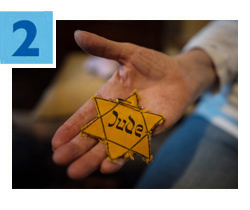 He demanded that we never forget the horrible lessons of the Holocaust. He implored us to speak out against the forces of genocide and discrimination in our own time, lest our silence be perceived as acquiescence and capitulation. Read more. 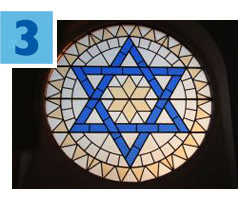 The Claims Conference (Conference on Jewish Material Claims Against Germany) has secured an additional $500 million above previously announced levels for 2016-2018. Helping the tens of thousands of Holocaust survivors in need around the globe is a critical priority of Jewish Federations across North America. In Miami, Federation-funded agencies care for more than 600 survivors, providing meals, home healthcare and other vital services. Read more about the Claims Conference victory in this Jewish Telegraphic Agency article. To help foster a safe and secure Jewish community environment in Miami-Dade County, the Greater Miami Jewish Federation has hired a Community Security Director. Brenda Moxley is a retired Assistant Special Agent in Charge of the Miami Division, FBI. She and the Community Security Committee, chaired by Federation Board member Barry Gurland, will work strategically to promote safety awareness, train community professionals and leaders, improve communication systems and physically secure Jewish institutions to minimize the potential of being targeted for any type of attack. Read more in this Miami Herald article. 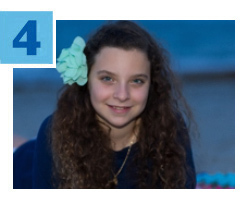 Since 11-year-old Rebecca Adler from Miami was selected last November as a member of PJ Our Way's national Design Team, she and her peers have been reading and reviewing books, and providing online content for others to enjoy. This month, for example, Rebecca created a poll and quiz for readers of a time-travel novel about the Dreyfus Affair. Launched in 2015 by the Harold Grinspoon Foundation and supported locally by Federation, PJ Our Way invites Jewish children ages 9-11 to visit PJOurWay.org each month and select free books to receive at home. To learn more, contact Joy Prevor at jprevor@gmjf.org or 786.866.8572. 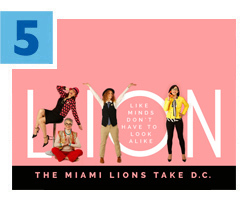 Join more than 1,500 Jewish women philanthropists in Washington, D.C. this September for unforgettable days of learning, inspiration and friendship at the International Lion of Judah Conference (ILOJC). Under the leadership of Miami Delegation Chair Irene Kossman, Miami participants will also celebrate Helene Berger, our community’s own Kipnis-Wilson/Friedland Award winner, and enjoy dinner with Israeli Lions. Register today; this event usually sells out! Click here for more information about the ILOJC and here for details about the Lion of Judah program.